A crispy chicken sandwich for breakfast. It’s kind of like my good luck charm. Keith never got back to me about that important question. So I found out for myself. I googled it immediately. Philly does have Chick-fil-A. It has six, actually. Seven if you count the one at the airport. Boston has zero Chick-fil-As, for what it’s worth. 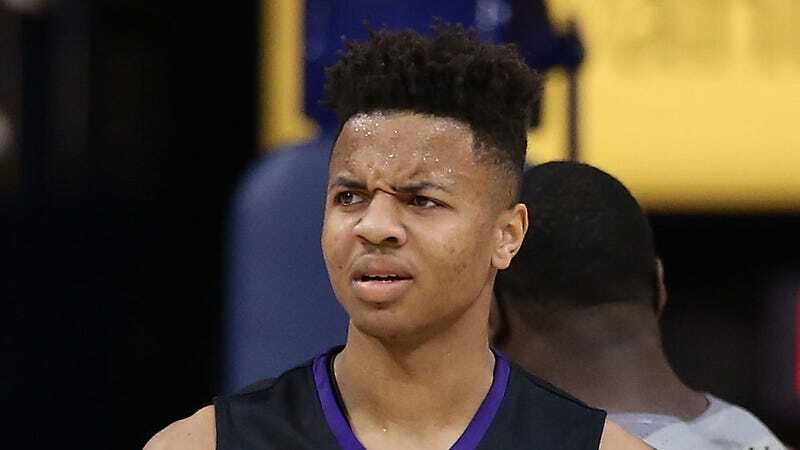 Markelle Fultz’s breakfast joint is Chick-fil-A! He can do better than that in Philly—my go-to spots are Morning Glory and Knead Bagels—but, hey, whatever gets you going. If Fultz doesn’t want to head back into the city right after practice, there are also two Chick-fil-A locations in Cherry Hill, N.J., just down Routes 38 and 70 from the Sixers practice facility in Camden. Joel Embiid cut back on his Shirley Temple intake to keep his diet. The Sixers might make Fultz cut back on the chicken sandwiches. Eat them while you can, Markelle!